I'm going to be straight with you. I wrote this post a long time ago (although, I've made modifications for today). It was originally written back in July 2016, way before I even had any inkling that I'd have this blog. I must be able to tell the future! Just kidding. There is a more reasonalbe explanation. The story goes I used to write for HelloBee. Have you heard of this site? It's a great site for new and expecting moms. Basically, all the posts are from contributing writers -- women in some stage of motherhood, from trying to convince to already having many kids. I was one of the contributing writers. I started shortly after having Caleb and wrote for over a year. It was a good time, but now I'm focused on Raising Tacoma. However, this review I felt was still relevant and something you might find interesting. Plus, I'm going to share another book review soon so I felt I should do this one first. So there you have it. 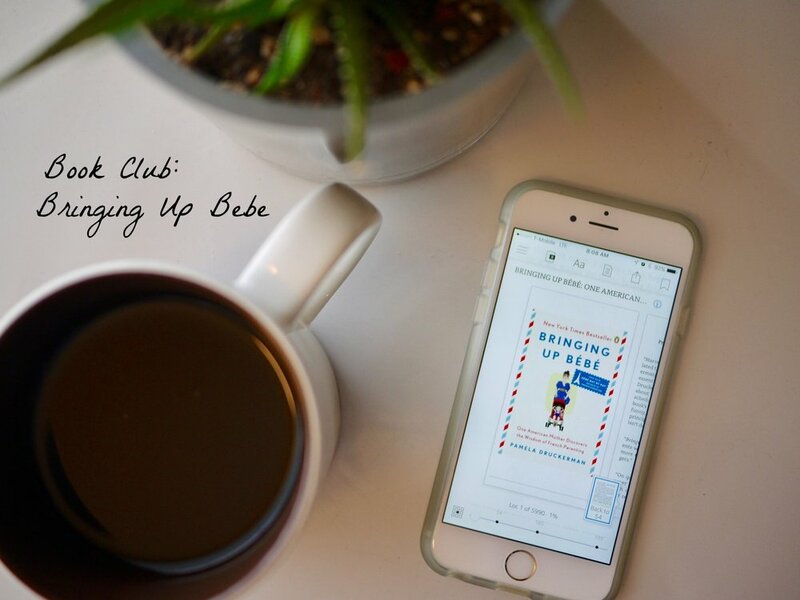 I read Bringing Up Bebe back when Caleb was just a few months old. It came highly recommended by a friend who was also a new mom. It's one of those books that in conversations, moms say, "oh, I've read that," or "oh, I've wanted to read that one." Looking back now, I'm glad I read it while Caleb was just a few months old. In fact, it would have probably been best to read just before he was born. Many of the tips are for when they are just born. But no regrets. I read, The Christian Mama's Guide to Having a Baby before Caleb was born and thought it was excellent. I'd write about that one, but it's been way too long now, and I don't have a post magically stored away. But I do remember really enjoying it and learning about what to expect. Okay, now back to Bringing Up Bebe. Overall, I thought it was worth a read, although with all parenting things, some of the advice I take to heart and others I’ll let slide. I think that’s really how this parenting thing works — investigate, and then choose what you think sounds right and will work for your family. And go with your intuition. That's good to follow, too. 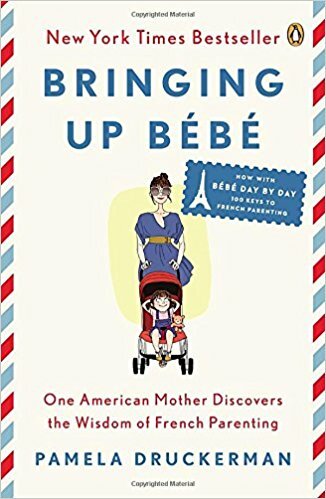 The author, an American who moved to France wehre she raised her children, shares some good tips that I thought I'd try to recap for you. French parents aren’t seen yelling “stop” or “quiet” at their kids. Instead, they tell their kids to “wait.” Apparently, their trick is to make them wait and learn to deal with frustration. Also, parents teach them how to entertain themselves. Another thing they do is make their kids say “bonjour” when they greet someone. All of this together is known as cadre – basically, a firm framework parents give their kids. They pick what to be strict and firm about, but within that framework there is freedom. It seems this is what makes French kids polite, respectful, generally well behaved. The French are not so crazy about early development and future SAT scores, but rather let them be kids for a while. It seems French parents don’t push all the developmental stuff like we do in America. They are not constantly attending to the child and praising them for everything. Rather, they sit back and let the kids play; let them experience being a kid. They encourage more social skills and worry less about developmental progress. For instance, at swim class, they don’t learn to swim but to splash around and have fun. They call this “awaken” as in awaking their senses. Ahh, yes, French food and eating. We seem to idolize the French and their food. There is even an entire book about this as well, French Kids Eat Everything. One of the main methods is to have kids eat on the same schedule as the parents. They also do not snack, but let them get hungry for the next meal. The only exception is gouter, which is an afternoon snack. In addition, they have the kids eat in courses with veggies first. Other methods include encouraging kids to help in the kitchen, eating a variety of foods, trying different preparations of the same food, and at least trying a food. In France, there is no such thing as “kids’ food” or “kids’ menus” so kids order off the main menu. As you can see, they push the kid to eat more like an adult from a very early age. I can definitely agree with some of these ideas and have, and will continue to, try them on Caleb. I would recommend this book to a new mama as it gives some good tips, while also entertaining to read compared to many other baby books. Although, some of these things I feel like I really tried to do and just didn't work. It just goes to show, all babies are different and in the end you just have to go with what works best for you. Have you read it? What did you pick up from it that you liked or disliked?